I recently joined the International Thriller Writers association which actively promotes writers, debut and seasoned authors of the Thrill genre. Yes, I am one of those struggling writers hoping to get published someday. 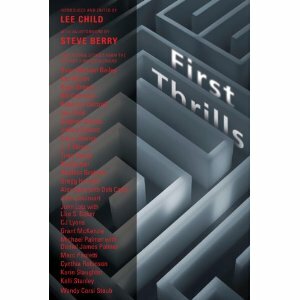 "International Thriller Writers, Inc., began with a dream. Until ITW, thriller authors had never organized. By nature, we tend to be loners, happy with our work and our families and a few close friends. But at the same time, because we're a relatively small community in the vast world about which we write, we also yearn occasionally for collegiality. For years, we've said to one another, "Why don't YOU organize us?" At which point, the thought was so overwhelming, the work involved so time-consuming, that we would gaze sadly around the group and shrug. There was no way." They found a way and in 2004 the group was born. They have grown exponentially since then and published some very interesting books. That is how I discovered the group. I heard through the Blogosphere about Thrillers: 100 Must Reads and since I absolutely love thrillers, had to get it. Edited by author David Morrell, co-founder of ITW and journalist Hank Wagner, the book is 100 essays written by well known thrill writers talking about which books influenced and have had the greatest impact on the genre. 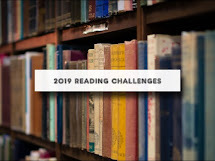 Various authors give their thoughts on books they think were the greatest influences through out time from 1500 BC Theseus and the Minotaur to 1902 Joseph Conrad's Heart of Darkness to 1950 Graham Greene's The Third Man to 2003 Dan Brown's The Da Vinci Code. What intrigued me the most was Steve Berry's thoughts on Dan Brown and The Da Vinci Code and how he helped to revitalize the thriller genre. "The real contribution of Dan Brown and his marvelously inventive story is the effect that both he and his publisher had on the international suspense thriller. Together they breathed life back into something that was all but dead. And, in the process, opened up opportunities for those of us who were out there searching for a chance." I happened to like the Da Vinci Code and read it twice, researching some of the things folks criticized and coming to the conclusion, things were being blown out of proportion. It is after all - fiction. Thrillers: 100 Must Reads is a must read and you can check out it out here and see a table of contents listing the essays included. It's one of those books you keep going back to again and again, each time reading a new essay, discovering something new, then searching out the book they mentioned to read it. It may take me a while to finish the whole thing. Thrillers come in all shapes and sizes from psychological to political to mystery to medical to supernatural. Personally I favor psychological thrillers. What type of thrillers do you like to read and whose your favorite thrill author? I'm playing catch up on this challenge! Oh my!